Since its establishment in 1982, Pulse Microsystems has been the technological leader in the embroidery software industry through constant innovation. Pulse Microsystems’ goal is to be the leader and our motivation is constant innovation. Pulse Microsystems has the largest pool of programming, mathematics and embroidery expertise in the industry. In addition, our experienced worldwide distributors and broad customer base are a huge source of new ideas, feedback and development for our software. Pulse Microsystems invests a large amount of time and resources in research and development. Our commitment to R&D is reflected by the large number of technological innovations that have become widely adopted by today’s embroidery marketplace. Many of the most popular features found in today’s embroidery software were developed by Pulse Microsystems. A gorgeous combination of brains and beauty, Version 14 has plenty of compelling reasons for you to update. It is powerful, elegant and easy to use, and has great new features that help you maximize efficiency with minimal effort. Version 14 is Windows 7 Certified and Optimized! The only software to get the Microsoft Windows 7 certification, an endorsement that Pulse gets for every version, it offers peace of mind to the user that their software works perfectly in the Windows environment. 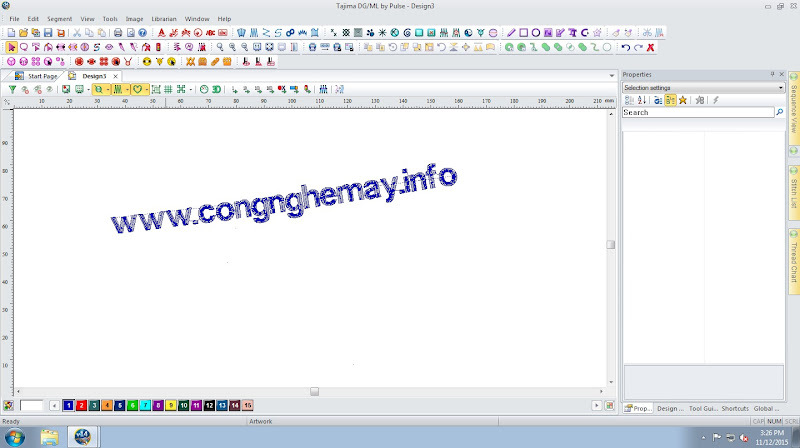 As a Version 14 user using Windows 7, you will be able to take advantage of special improvements found in Microsoft’s Windows 7 operating system such as Thumbnails Preview and Folder Libraries that allow you to quickly access embroidery designs and artwork stored across multiple folders. Version 14 offers Multiple Core Processing, which means increased productivity and faster stitch generation. Computers are not getting faster, they are adding more processor cores. Version 14 takes advantage of Multiple Cores, so multiple calculations can be done at the same time on many processors. On a design with over 20,000 stitches, there is a 33% improvement in the time of stitch generation using 2 cores vs. a single core and a 43% improvement in the time of stitch generation from previous versions*. Version 14 will give you more time to focus on your business. *based on internal testing results using version 12. More testing being done by independent sources and results will be available soon. The user interface has been completely re-written from the ground up using the latest technology available. Version 14 enhances the embroidery creation experience- the software is now more intuitive as only the appropriate tools are available in the context menu, making digitizing even simpler. 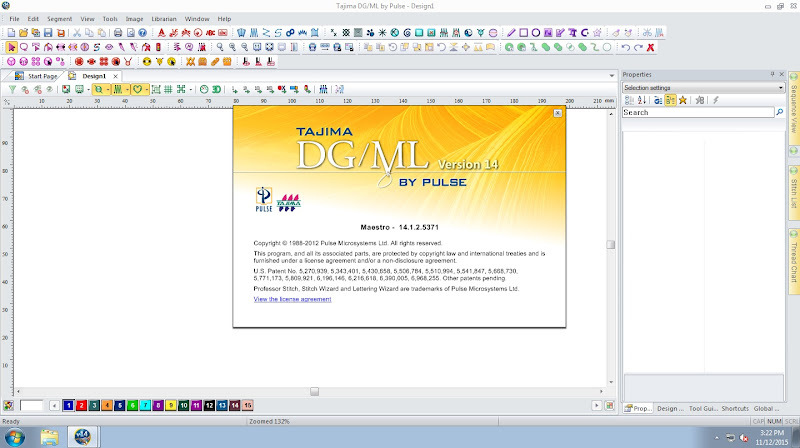 With a variety of options to customize your workspace- dockable windows; changing the look of Tajima DG/ML by Pulse to match what you are most comfortable with; customizable hotkeys that let you create shortcuts to match your preferences; the ability to create your own favorite toolbars, choice of Minimal, Full screen etc. workspaces, you can now create an environment that delivers maximum efficiency with a few clicks of the mouse. And you can save your workspaces as well, so go ahead and define one for every kind of design, or each of the designers in your shop, or even one for every day of the week. Version 14 offers 38 dazzling new fonts for your lettering and personalization projects. Quotation Estimator – This handy wizard uses design properties and user-defined variables-like cost per stitches, fabric cost, time per trims, machine set-up cost— to compile a printable design quotation for the customer. Included is a 3D rendering of the design on the chosen garment. Variable stitch density in Satin and Fill segments – Create interesting effects by defining multiple densities in a single satin or fill segment. Automatic Text Borders – Instantly and easily add a continuous border around embroidery lettering in your design. Choose to display the border only for a quick way to create outline text. 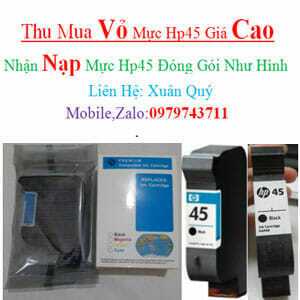 Attach your sercurity device ?